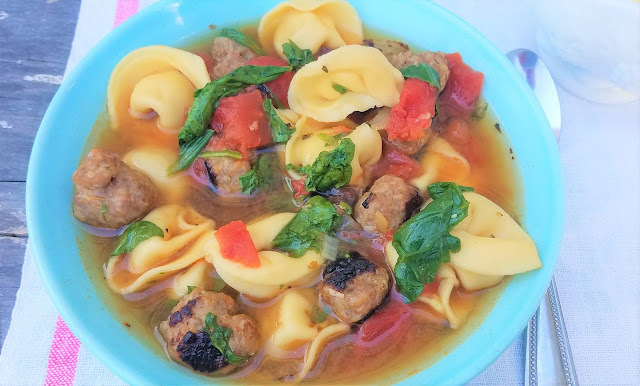 I had many requests to publish my Spinach and Tomato Torellini Soup Recipe, separately from it's original post in the "7 Items To Create a Soup Pantry" Post, that I am resharing it with you. 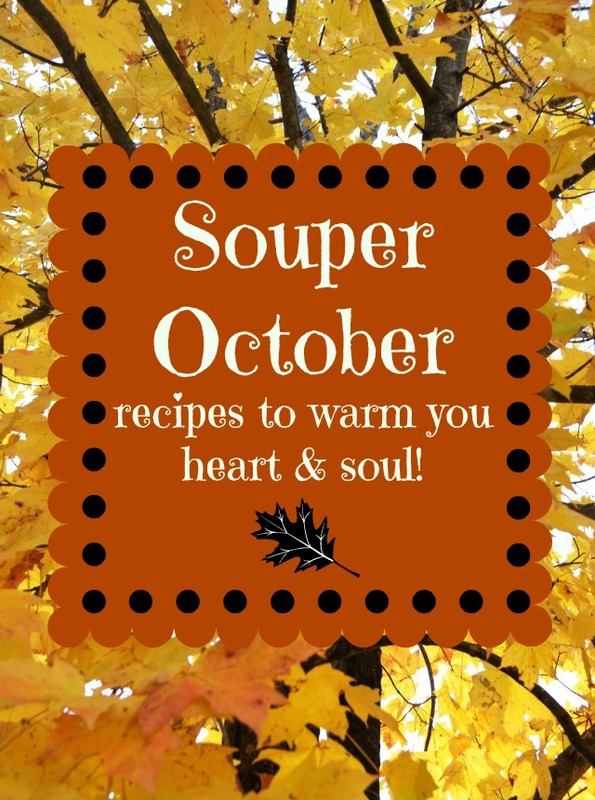 It's soup season and that means it's time for my 2nd annual "Souper October" where I'll be sharing yummy soups all month long! The Secret to a Fall and Winter full of wonderful soups is a a well stocked "Soup Pantry" all Soup Season long! 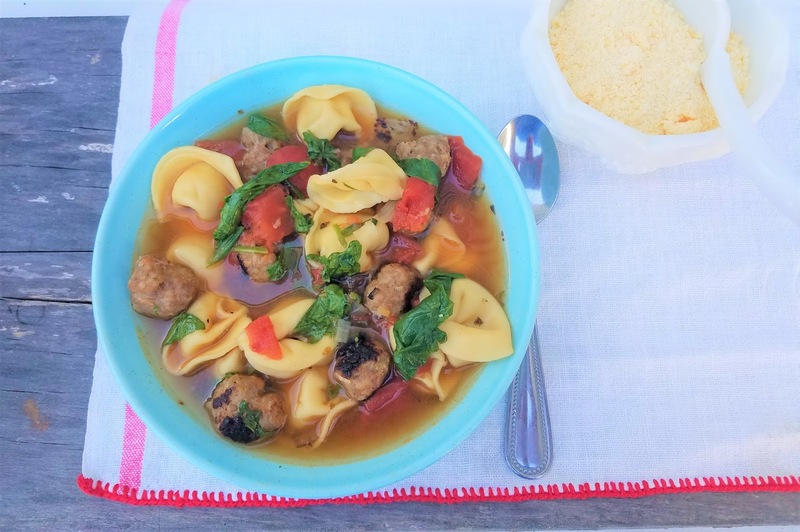 I got from my local newspaper, is a perfect example of a soup you can throw together in minutes from ingredients from your "soup pantry" of ingredients and feel warm and satisfied. I like to add little sausage meatballs (See Tip Below) to the recipe as well! Put a grilled cheese sandwich on the side and .. well... you have comfort right there! Jan's Tip: Short-cut Instant Meatballs: Use Italian Sausages or Brats and cut open the casings. roll the meat into small balls for fast meatballs, already seasoned and ready to go. You can quickly skillet cook them while starting rest of soup and then add to soup to simmer for a few minutes to finish cooking. Heat Olive Oil in Large Stockpot over medium heat. Add onion and cook, stirring frequently 2-3 minutes until onions start to soften.Stir in garlic and cook about 30 seconds.Add the chicken broth, dice tomatoes with the juice, oregano and 1 cup water.Season to taste with salt and pepper. Add in any optional ingredients, such as mini meatballs.Bring to a boil and add the tortellini.Reduce heat and simmer until tortellini are cooked through, 50 minutes. Stir in the spinach and cook just until it begins to wilt, about 2 minutes.Serve immediately, sprinkled with Parmesan cheese.